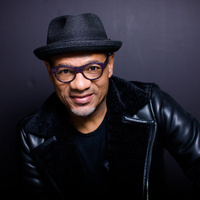 Kirk Whalum is a Grammy Award winning saxophonist from Memphis, Tennessee. His music is often described as soulful, passionate and stirring. Keeping and continuing the Memphis music tradition, Whalum still lives in the city mixing soulful jazz and ‘jazzing up’ church songs. His collection of albums entitled The Gospel According to Jazz shows where the soul of jazz began – the church. Dee Dee Bridgewater stands as a jazz giant after a four-decade career that includes three Grammy Awards. Her talent carried over to theater where she won a 1975 Tony Award for her role as Glinda in The Wiz — one of her many on-stage credits. Bridgewater will perform her eagerly anticipated album, Memphis...Yes, I'm Ready. DIVA Jazz Orchestra is an ensemble of 15 powerful and versatile women who perform all over the world playing contemporary, mainstream big band jazz. Audiences can expect to hear high-energy performances packed with unique improvisation, spontaneity and fun. This year, the group is celebrating their 25 anniversary with a new album released in March.